Whether it’s your own personal circumstances or the current state of the world, feeling hopeful can at times seem impossible. It may be that you’re crushed by your own personal tragedy or dire circumstances, or that you’re trying to empathize with the suffering of others. You may feel a sense of hopelessness, but despair is not the answer. However desperate a situation, there is always hope - as long as there is life, hope is possible. The good news is that hope is both a choice and an action. It requires continually choosing to be realistically hopeful about a future which looks brighter, and a life that is more fulfilling. 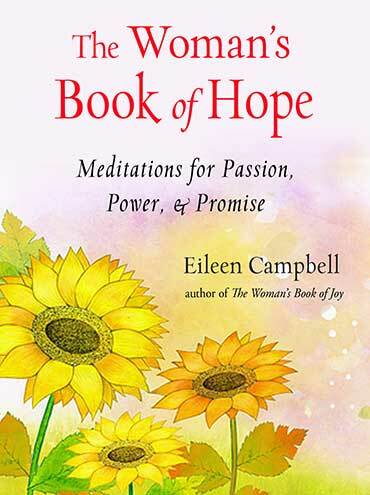 Eileen Campbell outlines the steps every one of us can take to transform our lives with hope, drawing on the stories of those who have triumphed over adversity and been sustained by hope, as well as her own experience of finding hope when all seemed lost. Inspirational quotations and affirmations are also included to help in choosing hope over despair.